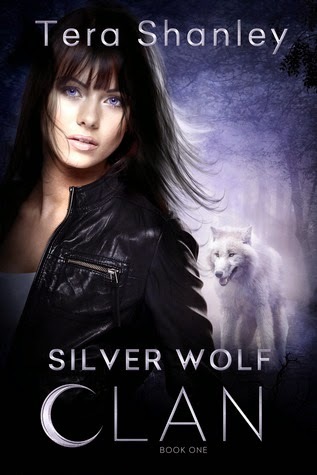 I had mixed feelings about Silver Wolf Clan. On the one hand I really liked parts of the book, but on the other there were things that just irked me and I couldn't let that feeling go. I enjoyed the way the book follows Grey after his transformation and how you get to see exactly what he goes through after being changed, both mentally and physically. On the other he is supposed to be some kind of special Alpha that is really dominant but later in the book he has trouble fighting off a few (I think three) wolves, which doesn't mesh well with how he is portrayed earlier in the book. Morgan's character was kind of a contradiction to me too. She has been fighting competitively since she was a kid but she doesn't actually do any real fighting when she's attacked. I really like what you find out about Morgan towards the end of the book it was a really interesting tidbit to add to the story, but I didn't like how it was just kind of thrown in there with only a short explanation. I realize the author is probably just setting up for the next book but it kind of drove me crazy that the ending didn't have more resolution. I will still be looking out for the next book in the series, if only to see how things go with all of the characters.